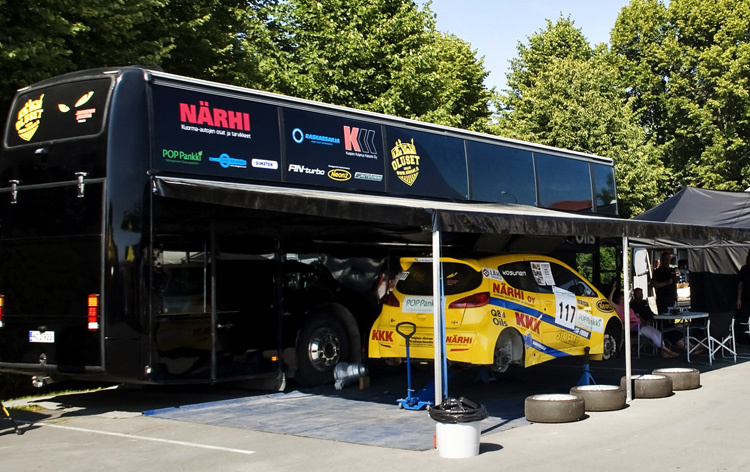 After a grueling stage, there's no telling in what condition a car will come back to the service. In a blur of hands and hardware, service group can rebuild a damaged car. 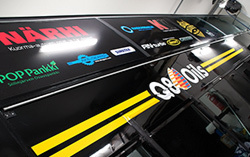 The team and facilities behind the drivers that ensure the performance of the cars is optimised. 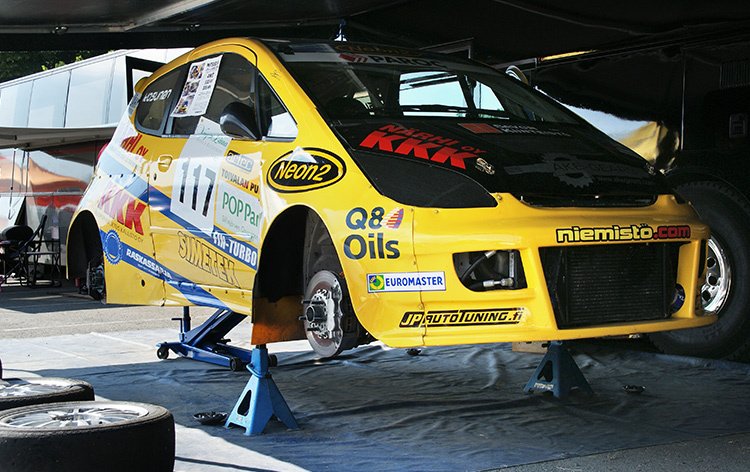 Service crew is responsible for making sure that the team car is race ready. 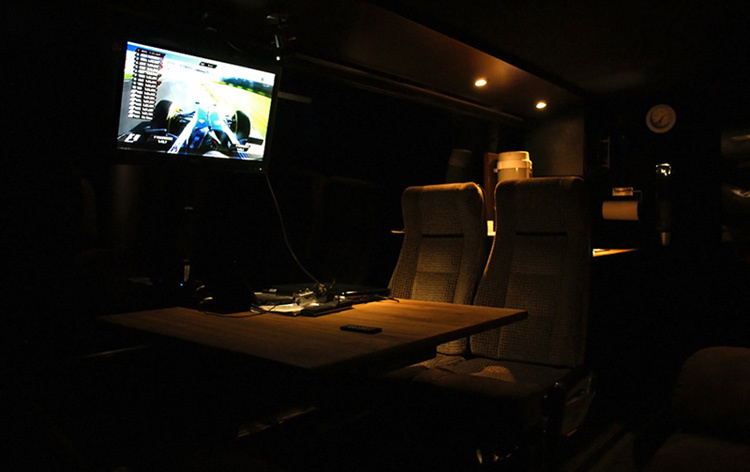 Because the Kosunen Racing is a private motorsport team. All engine build, body modifications, collision repairs, composite parts, paint jobs, design works all made by team! Working with mechanical or composite a person need good capacity to think in three dimensions. 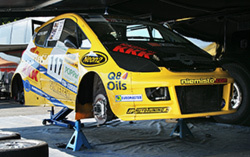 All racecar(s) engine power development and body construction are team own work. Team crew consist of 4-8 people at the event. 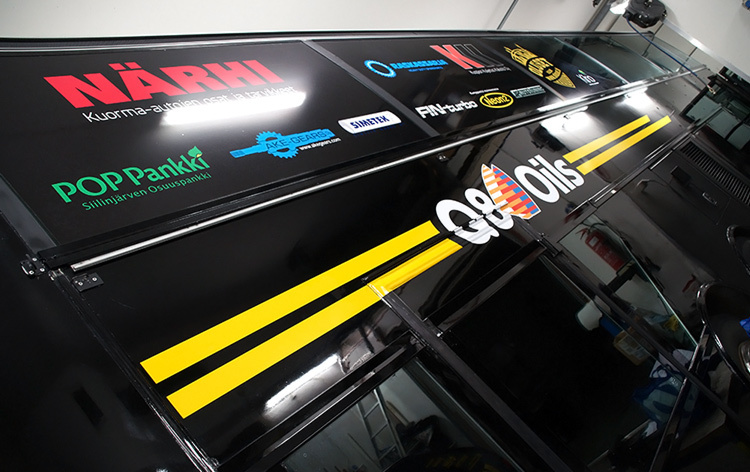 Team own build motorhome (Bus) include heated garage, plenty of storage space in the box for wheels, generator, toolboxes, etc. six sleeping beds, microwave, tv, dvd, wc, refrigerator, coffee maker, water tank, sink, 240V lighting and power, air compressor, sauna, shower etc. We have it all! 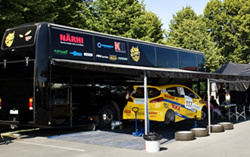 The Service Park a routine stop would include a complete change of wheels and tyres, a fluid top-up and a 'spanner' check, which ensures every nut and bolt is tight and not loosened by the engine vibration. When you see service vehicle plus over 100 race cars in frozen lake ice that's only happen in Finland!